Grenada has barely scratched the surface when it comes to harnessing the economic potential of the creative industries, and movers and shakers in the local artist industry believe more can be done to move the industry forward. Following the plight expressed by local artists Louis Salhab, Doliver Morain Noel and Anthony Douglas, NOW Grenada ventured out to get the views of people involved in the creative industry on what can be done by the artists themselves and by government to improve the industry in Grenada. The Grenada National Lotteries Authority (NLA) supports the development of culture through its sponsorships and donations. NOW Grenada understands that over the years, the NLA has supported several artist-related events aligned with its mandate. According to its site, the ministry provides financial support via grants to both individuals and nongovernmental organisations for projects that it deems important and which are aligned with its goals and objectives as stated in the cultural policy. The site provides a checklist of key information for submitting an application for funding. The ministry’s 2012 Guide to Buying Art shows how corporate sponsors can claim as an allowance for that year of income, between 100%-150% of the actual expenditure based on the acquisition of a work of art that has been certified by an art gallery. Earlier this year in Jamaica, the Ministry of Culture, Gender, Entertainment and Sport said it is seeking to establish a national programme aimed at showcasing and marketing final products and services of creative industry practitioners. The creative sectors are referred to as the Orange Economy, and encompass film, music, theatre, visual arts, fashion, photography, and dance and are understood to have a significant economic impact. Figures for Grenada are not currently available. Why Daryl. Surely you gest!!! Before you write such articles you should do some research. Your article sounds as it’s coming from one with diarrhea of the mouth and constipation of the brain. Sounds as you are attempting to scar the name of Susan, Asher, their gallery and all the hard work put in to assist local artists to lift the bar by consultations, classes, pop-up art galleries, videos to encourage one to paint, training in marketing, costing of their pieces and the list goes on. Susan is the most accomplished artist on the island loves art and lives and breathes it. So much that her son Asher fell in her footsteps. Anyone who knows Susan Mains and her son Asher would know that they are committed to art and artists without blemish. 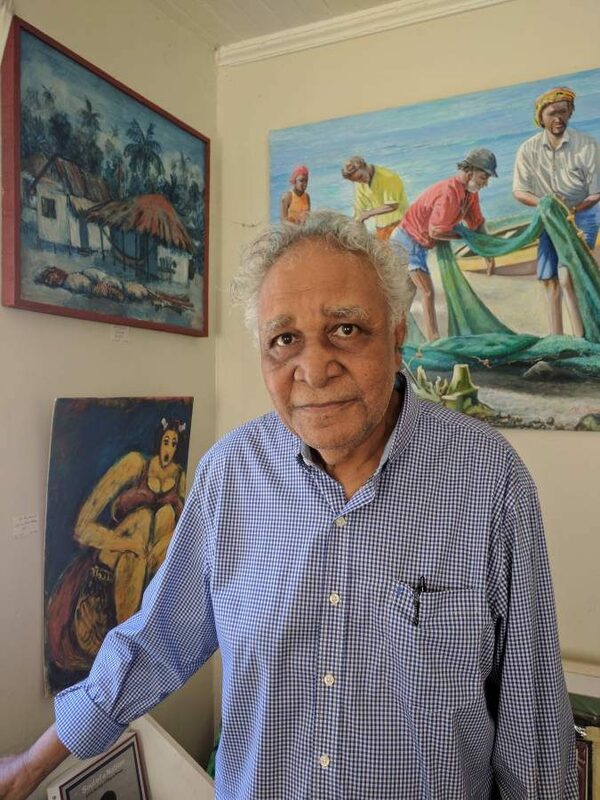 They are the driving force behind art in Grenada. Not only have they helped and continue to help local artists but hold workshops to encourage artists to develop and be self- sustaining. All you have to do is to do some research. In addition Susan has made over the years many proposals to government for funding to grow and promote local artists in various genres of art. However, this has been slow in coming so they did and do what they could. The Susan Mains Art Gallery is The Susan Mains Art Gallery owned and paid for from the pockets of Susan and Asher Mains as it is their full time occupation. Asher also teaches Art at SGU and also hold workshops on various genres of Art. Exhibitions are held thereafter to expose and promote the artists. I could go on but fair mutually agreed prices are always given to the artists if their work is purchased. The Grenada Arts Council is a separate entity. This was a home for local artists but the rents were not sustainable. The reason why Government assistance was and is constantly sought to inculcate best practices and promote local art and artists at home and abroad. GAC at this time and for a couple of years have been without a home as a result. Susan is an Art Activist and has been pleading the cause for years. She travels the world presenting papers on Art as well as exhibiting. For you to give such a verbal trashing and be so ill-informed leaves cause to wonder what’s your agenda. Sad.